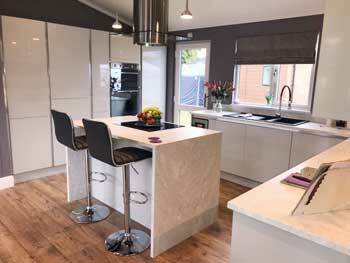 Based in Suffolk, Country Homes has built a strong reputation over the past few decades, establishing itself as a manufacturer of quality park homes. Capable of producing homes as individual as the customers who purchase them, they also have a solid range built up over the years and are now making huge strides forward with some really exciting new models in the pipeline. With designs that are easy on the eye, and schemes designed to work well in a variety of surroundings, they cater to most tastes too. 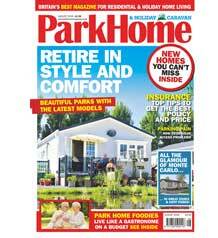 Back at the World of Park and Leisure Homes this year, they made a solid statement at the show with a new version of The Queensland, a hi-spec, luxurious residential home which looks set to tick a huge number of boxes from many perspectives, so we took an in-depth tour to find out more. The Queensland is available in a variety of sizes. In the version shown here, it is made up of: a large lounge spanning the width of the home; a kitchen/diner; master bedroom with en suite shower room; a second bedroom; a and family bathroom. This is a beautiful residential home, in a white stucco finish with Canexel sections, feature entrance set into a gable canopy, and extended soffits lit by inset downlighters. We particularly liked the front door which is slightly inset with angular windows either side and a modern box window feature – that really sets the scene well for a modern yet characterful interior, as we’re about to find out! 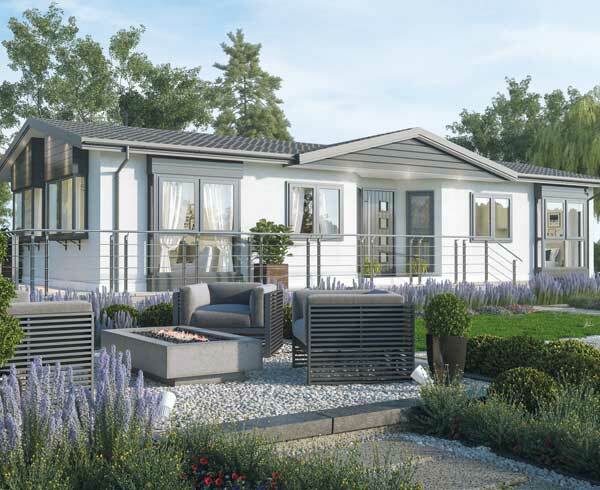 Residential and Leisure Homes individually designed for you. 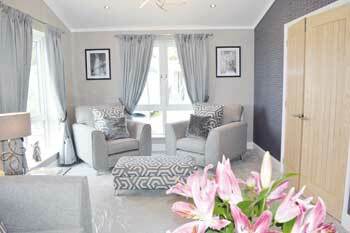 Country Homes (Anglia) Ltd proudly offer a range of modern, luxuriously appointed Residential and Leisure Homes of all sizes and suiting all budgets, together with our first class customer care service.